Death note chibis. 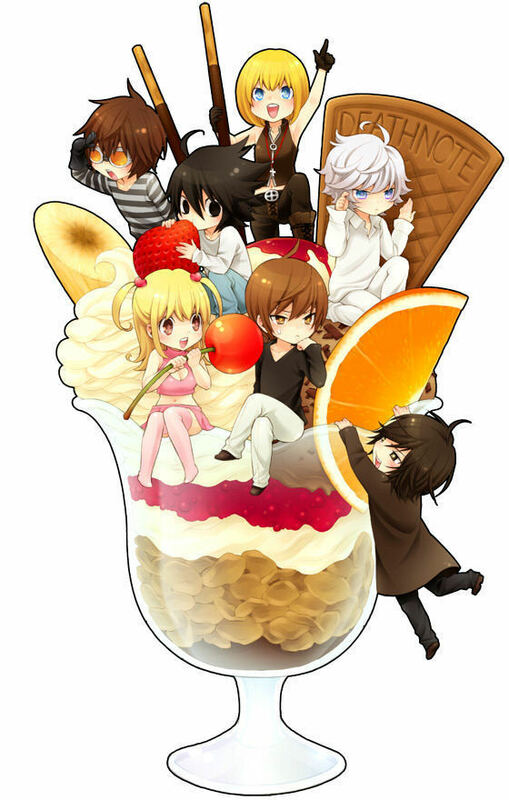 death note chibis with dessert. HD Wallpaper and background images in the death note club tagged: death note dessert. Awwww the wammy gang and the Kira gang! Awww!!!!! !the whole death note gang in chibi form!kawaii!!!!!!!!!! !